Abstract The purpose of the study was to determine the conditions affecting the decision to seek or not seek a position as a school assistant principal or principal. The principalship presents unique challenges to the individual who aspires to building level leadership, and school districts are finding it increasingly difficult to recruit highly qualified new principals. Reports suggest that filling vacant principalships is becoming problematic because the pool of qualified candidates willing to assume positions as school leaders is growing smaller. This study consisted of a survey to determine the self-perceptions of administrator candidates’ decision to seek or not seek a position as a school assistant principal/principal. The Administrator Index of Motivators (AIM) was completed by study participants during the spring of 2010. The survey instrument was derived from an Ohio study of teacher perspectives of the conditions that affect the decision to seek or not seek a position as an assistant principal or principal, and was adapted to be worded for educational administration candidates. The questionnaire was completed in class during the spring semester of the 2009-2010 school year by educational administration candidates currently enrolled in an educational administration master’s degree program offered by a post-secondary institution accredited by the North Central Association Higher Learning Commission, and by the National Council for Accreditation of Teacher Education. The independent variable was career goal as determined by the self-reported likelihood of becoming an assistant principal/principal in the next ten years (possible, likely, or probably). The dependent variables were the mean scores on the career, reputation, and legacy constructs of the Administrator Index of Motivators (AIM). 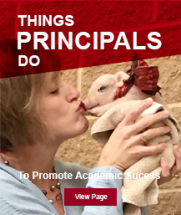 Implications of this research may be helpful in understanding the incentives and disincentives affecting the decision to seek or not seek a position as a school assistant principal or principal.